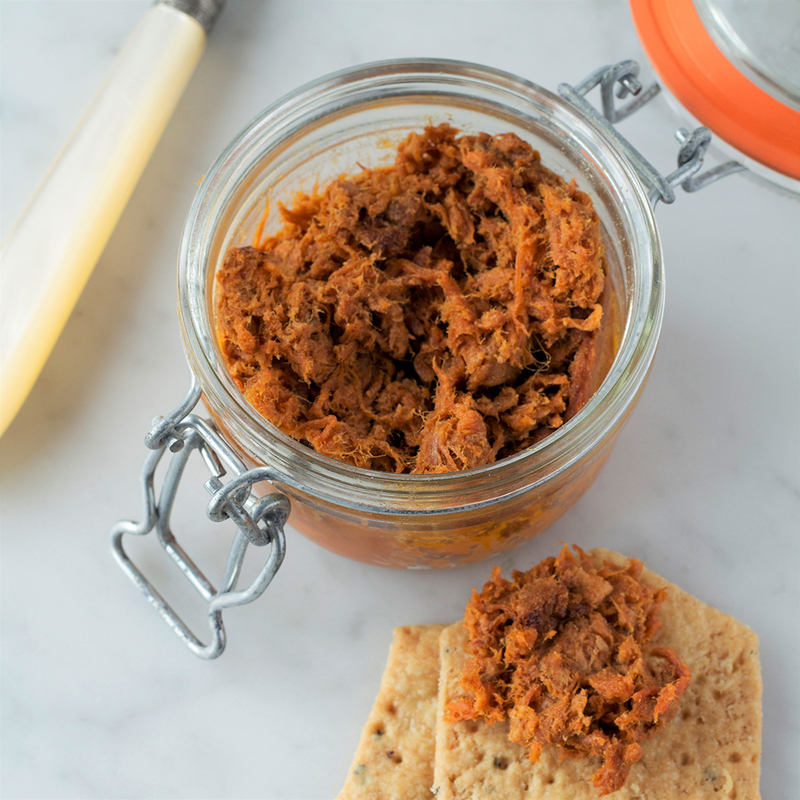 Inspired by Texas flavours, this delicious new marinaded pulled pork is a succulent combination of free range Cornish pork with honey, pimenton and garlic salt. 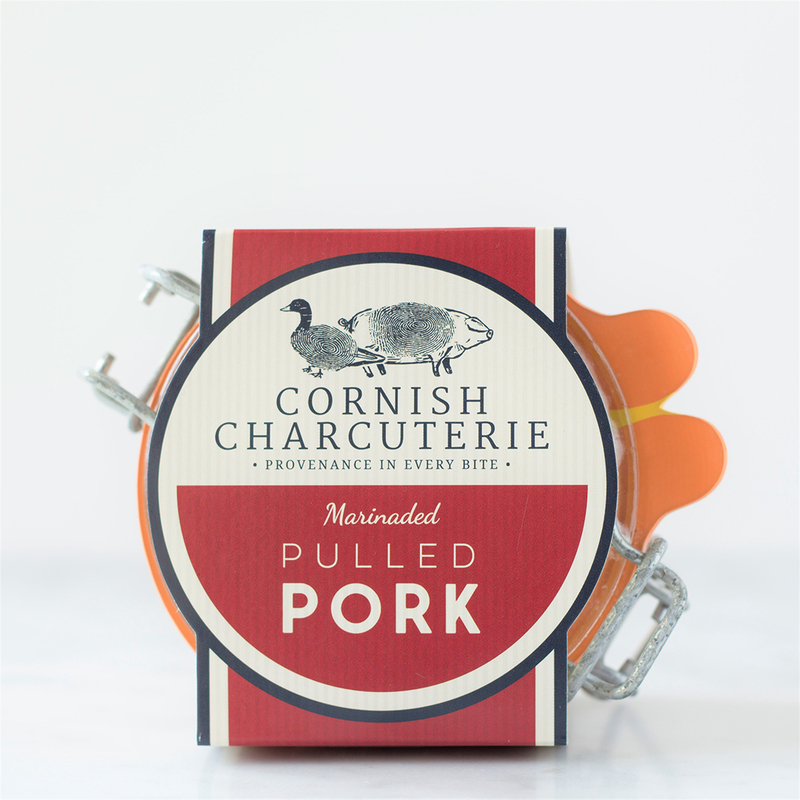 Perfect on thin savoury biscuits or a brioche bun with black pepper and cornichons. 110g jar with a best before date of 12 months (see side of jar). Storage: Store in a cool place. Once open refrigerate and enjoy within 3 days. 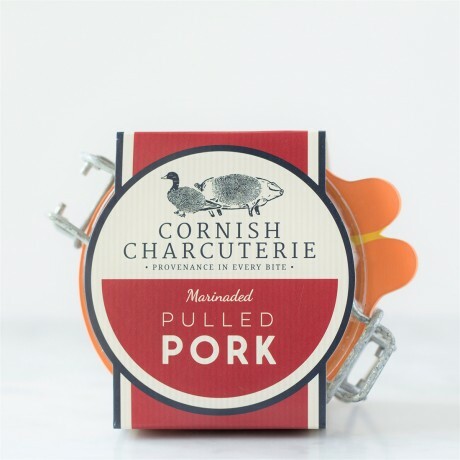 Free range Cornish pork 72.6%, duck fat, honey, pimenton, Cornish sea salt, garlic salt.